News from the other side of the globe reaches us and is saying that AMD is working hard to embed DRAM and System Memory onto processors into one single package. The RAM would get connected through silicon-through-channels. In many segments manufacturers are already working on similar technologies, look at HBM2 and NAND 3D Vertical stacking. For a processor, this, however, is new as the aforementioned technologies are based on a package-on package design. 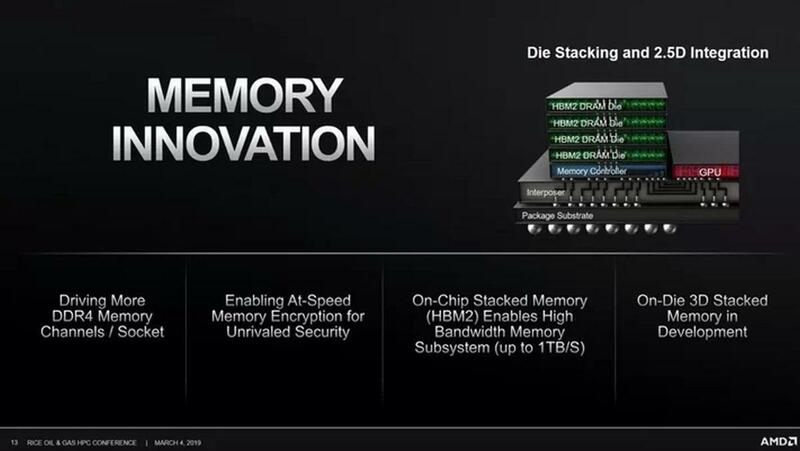 .The new tech would not make the actual memory faster but will make it work more efficient in overall performance. I already though about it since first Ryzen came, if we are getting to the point where 8C/16T can be bought for reasonable price- what going to come later to make you upgrade? Now we are looking for 16C/32T Desktop CPU's- what could be a reason for upgrade in 2021+? I think in Future desktop CPU's will come with Ram on CPU, Starting at 4GB low end~ upto 64GB high end - same story like on Ram/Storage on smartphones. 8C/16T comes with 16GB Ram, for you 8C/16T is more then enough but you want more then 16GB- then you have to spend more and buy 12C/24T with 24GB or 16C/32T with 32GB and etc'. On HEDT/Servers - they will keep using Ram modules for long time. P.S- Memory manufactures will be happy with this method- think about it: for years you could upgrade your MB/CPU and keep using old DDR3 memory or DDR4 memory= no new sales for Memory manufactures , but if you will be force to replace slower CPU with built in Ram with newer CPU with built in Ram- then Memory manufactures just sold you another memory modules!. Last edited by Hwgeek; 03-18-2019 at 03:34 AM. Maybe more relevant in the mobile space? I think you are right- it more reasonable to start with mobile(ultra-slim notebooks), and later will come to desktop. Is this a direction we want to be heading? On paper, it sounds more efficient. However, are there any cost concerns associated with this path as opposed to conventional RAM modules? It sounds to me like a no-brainer; Better communication between the CPU and a singular package that can be cooled by one heat spreader / sink. However, it sounds like this will all depend on the RAM that is placed by the chip. Which the consumer will not be able to chose. Sounds like RAM manufacturers will be fighting to sign a deal with Intel & AMD to get their memory paired with future CPU's. Last edited by Slaughtahouse; 03-18-2019 at 06:11 AM. For OEM's and for us as a product it will be much better, less debugging of Ram issues/compatibility with chipset/socket/CPU- just send the CPU for RMA, less power usage/cleaner and simpler MB PCB design. It's going to be more expensive for us tho- since no more keeping your current memory modules and just upgrading CPU/MB, need to buy all new CPU/MB combo. Sounds like RAM manufacturers will be fighting to sign a deal with Intel & AMD to get their memory paired with future CPU's. Same situation like on GPU's/smartphone's and other devices with memory soldered on board. But for Memory Brands (not the manufacturers) this going to be bad, they will be forced to go for other new products. Last edited by Hwgeek; 03-18-2019 at 06:35 AM. theoretically the on-package stacked DRAMs could just be treated as a cache like the eDRAM was, so additional DRAM sticks should be possible. the main advantage of this is that super-high speed DRAM sticks no longer matter as much, all the latency sensitive high-bandwidth workloads would be done by the on-package DRAM. 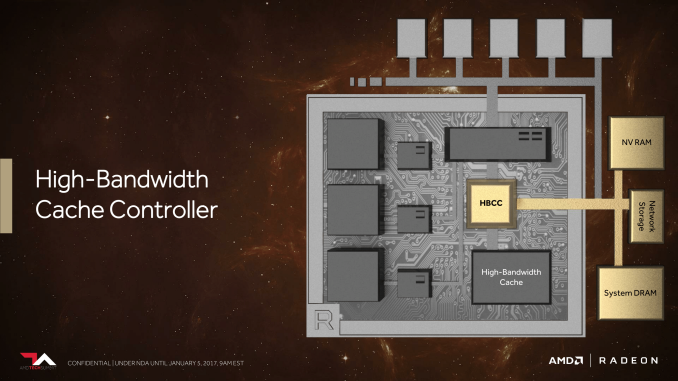 they could even go for high-bandwidth configurations like octa-channel instead to allow rapid dump and load between on-package and off-package DRAM, maximizing the on-package DRAM's throughput. Last edited by epic1337; 03-18-2019 at 07:11 AM. Think about those boot times using that as a ram disk! Yes, it's more expensive. There is an extra logic die and interposer for GPUs with HBM. The image shows at least the interposer + the memory controller being moved off the CPU silicon. TSVs also add extra die space vs conventional RAM. TSVs are more complex with additional processing that can't be tested until the whole stack is complete. 1 chip has a bad TSV? Whole stack of DRAM is tossed. It does mention 2.5D not 3D so there might not be TSVs between the DRAM/interposer although there are vertical lines straight through the DRAM modules to the interposer. Basically a level 4 cache? Glad to see they'll actually be competing with Intel with new form factors. Can't wait to see how it competes with Intel's Lakefield.